Director Jan Yamane, who took over from Chuck Totto, is emphasizing training over investigation in an effort to change the culture. The Honolulu Ethics Commission has kept a low profile since the tumultuous departure of its former director, Chuck Totto, more than two years ago. Totto’s replacement, Jan Yamane, has shifted the commission’s focus from investigating misconduct to training city employees and encouraging good behavior. 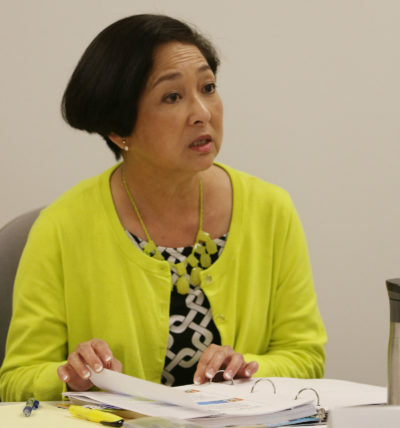 Honolulu Ethics Commission Executive Director Jan Yamane is working to revamp ethics training required for all city employees. The commission also gives advice to city staff about possible conflicts of interest and gathers information from lobbyists and public officials. The commission launched 86 new investigations in Yamane’s first year and 58 in her second, according to data compiled from annual reports and minutes from the commission’s October meeting. That’s down from an average of about 100 per year in the four years leading up to Totto’s 2016 departure. The number of investigations into complaints “shows that the public and city workers will report misconduct and believe that the Commission offers a fair and effective forum to examine and resolve their concerns,” the 2011 annual report says. If there’s enough evidence that someone did something wrong, Yamane said, it usually ends up as an ethics opinion published by the commission. The commission can also publish advisory opinions when it gets questions it feels are important enough to publicly clarify. The commission has published a handful of ethics opinions in recent years – three this year and two last year – but hasn’t made many waves. Yamane said the number of opinions issued isn’t a litmus test of the commission’s performance. She also said she wants to use advisory opinions as a way to reinforce good behavior, not just slap people on the wrist for wrongdoing. That’s a change in approach from Totto’s 16-year tenure, when he issued a series of high-profile ethics opinions that fined City Council members for corruption charges and clarified the business dealings of Honolulu Mayor Kirk Caldwell. 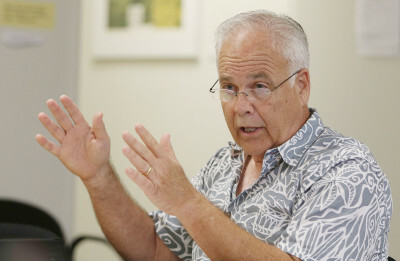 Former Ethics Commission Director Chuck Totto left the commission after public battles with the Caldwell administration. Totto’s approach earned him enemies. Former Police Chief Louis Kealoha and his prosecutor wife, Katherine, who now face a slew of corruption charges, sued Totto and the commission for alleged vindictive investigations. Last week a judge dismissed the Kealohas’ case. Totto declined to comment for this article. He publicly clashed with the Caldwell administration for years before quitting over what he called political meddling with his office. Things seem to have calmed down. But for some, the commission is now too quiet. In November, the commission voted to reduce its sparsely attended public meetings from monthly to once every two months. That raised a red flag for Corie Tanida, the director of Common Cause Hawaii. Natalie Iwasa, a Hawaii Kai resident who doggedly follows city affairs, shared Tanida’s concerns. In the years leading up to Totto’s departure, the commission saw a dwindling number of requests for advice, from an average of 342 per year from fiscal years 2012 to 2016 to just 182 requests in the 12 months following Totto’s exit, the annual reports show. Yamane said for a while after Totto left, the commission only had one attorney, which could have contributed to the decline in requests for legal advice. After Yamane’s first year as director, the number of requests spiked to 601, but the commission now tracks all questions fielded by any of its staffers instead of just the two attorneys, which could account for the increase. She could not say how many cases of misconduct the commission is currently working on because it now bundles similar complaints into single cases to investigate. Yamane said she and her staff were spending an inordinate amount of time preparing minutes and agendas for the meetings, which last one to three hours. She also said the commission can still call a public meeting if there are time-sensitive issues to deal with. The staff of five must train roughly 10,000 city employees on government ethics every two years. As of October, 9,686 workers had gone through the training this year, a significant increase from previous years. They’ve spent much of the last year revamping what was generic training, Yamane said, and plan to write new curriculum every biennium to keep employees engaged. A new online course for all employees with computer access takes under an hour to complete and uses video clips from the TV show “Parks and Recreation,” a comedy about the daily life of bureaucrats in small-town Indiana, to define conflicts of interest and nepotism, and caution employees against personal use of public property. The Honolulu Ethics Commission has cut its schedule of public meetings in half. The commission staff offers a presentation of the same content for employees who don’t work in front of a computer. 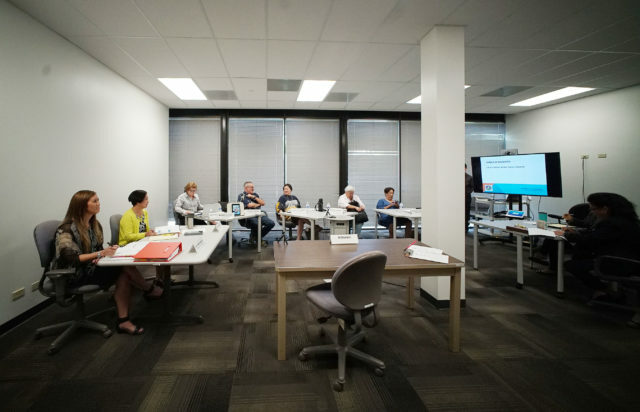 For supervisors in city departments who’ve received ethics training year after year, the commission staff created ethics “Jeopardy” games to challenge their knowledge. So far, Yamane said she’s has gotten positive feedback from city employees. She also said fewer public meetings will give the her staff more time to process hundreds of annual lobbyist reports and financial disclosure forms from elected officials and cabinet members, which are due in January. All lobbyists are supposed to file an annual report detailing money they spent and which bills they sought to influence within city government. More than a year ago, Yamane called for overhauling the way the city gathers information from lobbyists. City Ethics Commission Chair Victoria Marks, left, and Vice Chair Michael Lilly sit at a meeting in 2016. Marks said the commission isn’t shying away from investigations. She revised the forms so lobbyists must specify how they’ve spent their money, such as on meals or advertising or political contributions. But most lobbyists report spending no money, and Yamane said her staff doesn’t have time to go through the information to ensure it’s accurate. She has drafted a City Council bill that would remove the requirement that lobbyists get their forms notarized, which some see as cumbersome and unnecessary. The state Ethics Commission requires lobbyists to file reports three times a year, an idea Yamane supports. But she said her office doesn’t have the resources to process more reports and plans to ask the City Council for funding for another attorney in the upcoming budget cycle to help with the workload. “Everyone says it seems easy but when you’re using the existing five staff (members) that do everything else, you’ve got to carve some time out,” Yamane said. 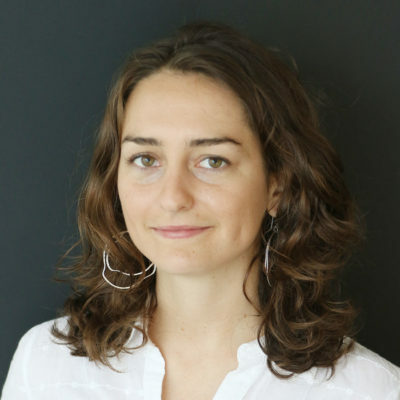 Natanya Friedheim was a reporter for Civil Beat. You can follow her on Twitter at @natanya_hnl and Instagram at @natanyafriedheim.